Stop Deerflies. Wear the Patch! 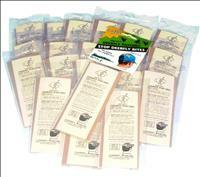 Deerfly Patches are odorless hat strips that stop deerflies from biting! Easily attach the 2" by 6" patches to the back of your hat or cap. Attacking deer flies will land on the patch. When they do, they stay, and bother you no more. ORDER HERE. 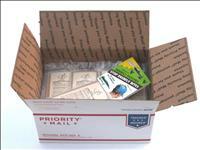 "FREE SHIPPING in the US"
Retailers and distributors please contact us for wholesale pricing. Receive a FREE 4 / pk with every order ! 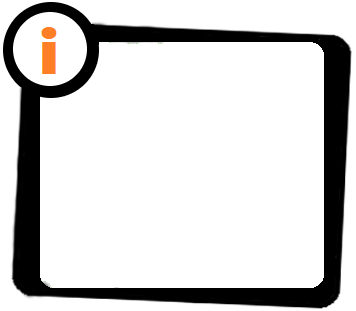 Simply like our Facebook Page, get the PROMO CODE, add it at checkout. 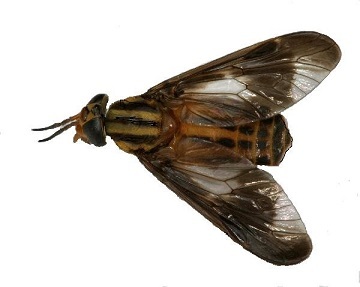 Deer flies are a type of horse fly that target the head and neck of its victims, both animal and human, leaving a painful bite to which many are allergic. They are active in the summer months in northern USA and Canada. Deer flies cannot be deterred or repelled. There is no repellant to defend yourselves against them. They will not relent until they get what they are after - blood. There is only one solution: get them before they get you! 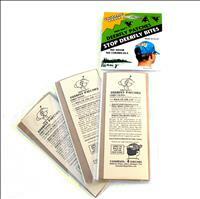 Deerfly Patches are 2" by 6" flesh-colored traps that attach to the back of the cap or hat. Deer flies target the patch and are quickly caught. They are no longer a nuisance flying around your head or biting. 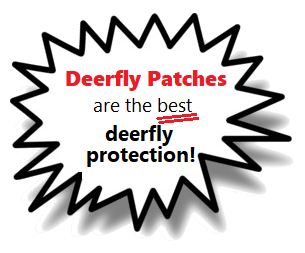 Deerfly Patches have been field tested by Ohio State University and the Michigan Department of Fisheries and Wildlife. People like them because they have no chemicals and no odor, nothing greasy to rub or spray on your skin. We have studied deer flies intensively for nearly thirty years and have done extensive research and testing on their biting habits. 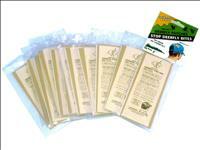 We have tested all insect repellents....they don't work effectively on deer flies. 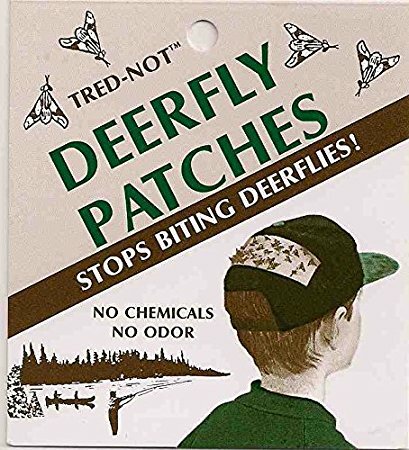 In the development of our Deerfly Patches, we have tested and proven different habits of the deer fly to determine why they bite some people more than others. We have experimented with carbon dioxide emissions, body heat emissions, motion and non-motion, clothing colors, reflective objects, smooth and furry surfaces, body odors, as well as environmental conditions... location, time of day, sunshine/cloudy, warm/cool, etc. 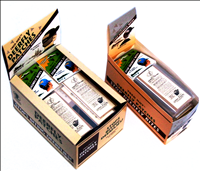 From our research and development, we have created the best control for deer flies.